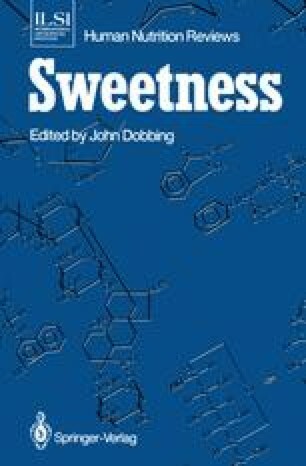 Responsiveness to sugars and sweetness is phylogenetically ancient, being manifest as Chemotaxis even in motile bacteria such as E.coli (see Adler 1971 for review). Electrophysiological and behavioral characteristics of sugar receptors and feeding have been identified and analyzed in certain invertebrates, most notably the blowfly (see Dethier 1978 for review), and taste receptors and electrophysiological responsiveness to sugar solutions have been identified in frogs and fishes (Bardach and Atema 1971; Sato 1969; Sato et al. 1969).